You didn’t start your own contracting business because of your passion for bookkeeping…but eventually, all business owners face the music when it comes to paperwork, expense and spend management. Spending hours per week or month sifting through receipts, expenses and invoices takes valuable time away from growing your business. Additionally, not having clear visibility into project expenses and spend is one of the leading causes of otherwise successful business to fail. Neat can help. We’re a cloud-based app designed to eliminate paper-based expense and spend tracking and give you complete visibility into your project and business expenses. 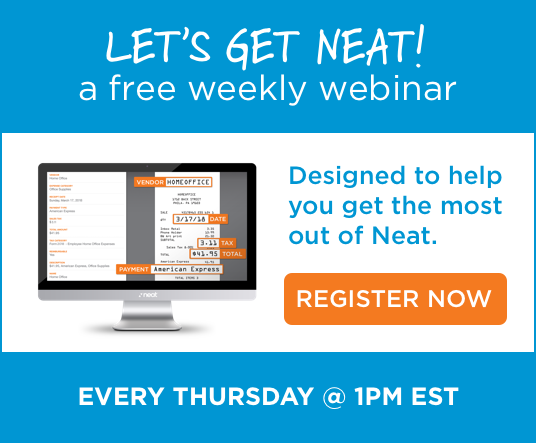 Thousands of contractors and tradespeople use Neat every day. Here's How.